I wouldn’t trust him with a barge pole, said Brassie, firmly. me, during my flight on Singapore Airlines, from Changi to Heathrow. The advert was a lot more interesting than the films on offer. parent places it on his display shelves and asks his son not to touch it. The boy nods and promises. the vase down, in order to look at it. shelf, but not in the exact same position. the boy confesses and his father raises the vase and smashes it to the floor. He then tells his son that trust is of the utmost importance. They hug. Hmmm, as a non-committal Anglican vicar friend of mine might comment. The underlying metaphor reminded me of the video at the NGV, Melbourne. historical value. All I could think was: What a shame! I hope it was a fake. piece of porcelain. I keep wanting to shout out at the screen: Be careful! You are making me nervous! in Cambridge and knocked over three Qing vases on a sill in the stairwell. They had a combined value of £500,000. He should have tied his shoelaces. had passed them before and nothing untoward had occurred. your treasure is, there will your heart be. could and reaped the benefits of even more confectionery. 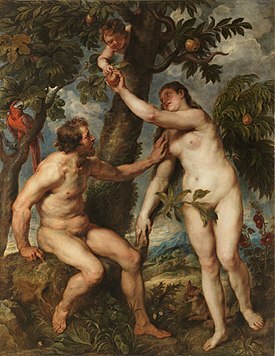 Eden: curiosity, impatience and lack of trust. Our principles define us, as the UOB advert says. Here, O my Lord, I see Thee face to face. Here would I touch and handle things unseen. Oh, for a more tactful and careful approach to dealing with sensitive matters!